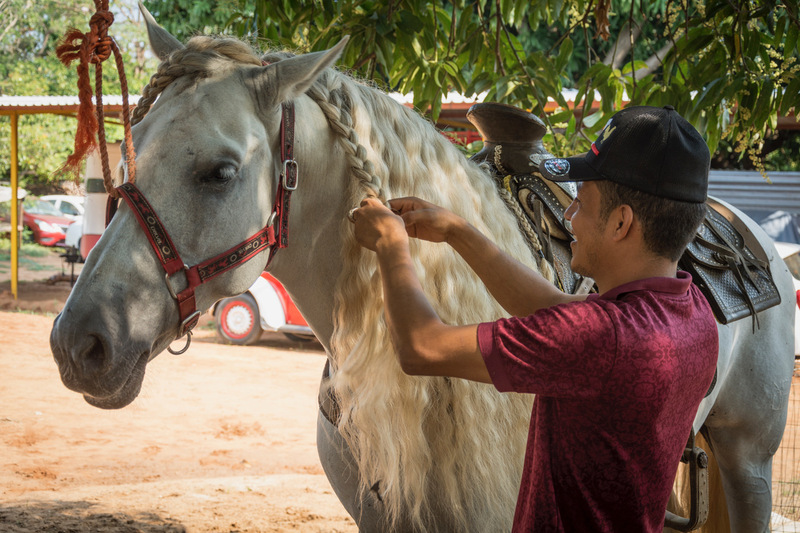 We’ve seen them everywhere in and around Puerto Escondido, and each time we’ve marveled at their beauty and grace and wondered how they got to be here. I am speaking of the dancing horses. After making many inquiries, we finally met up with a young man who is a professional equine dance teacher. 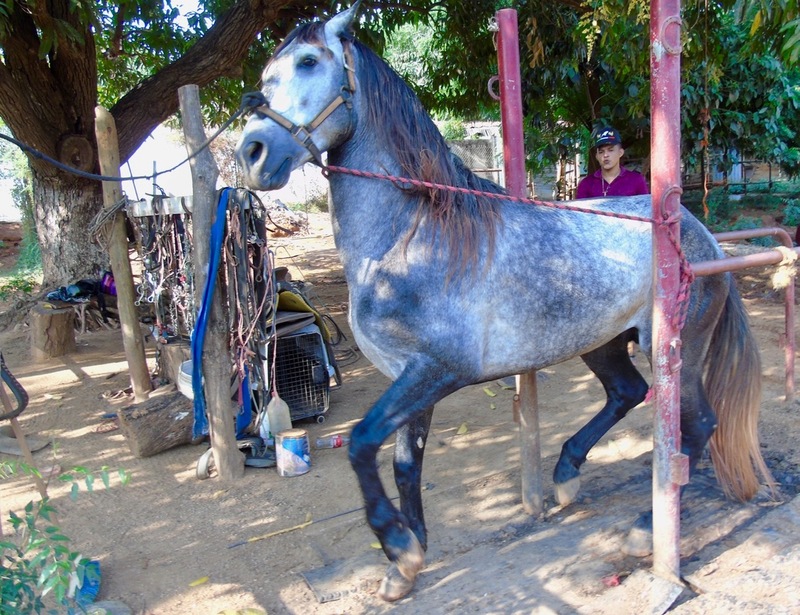 He specializes in training pure bred horses that perform in Río Grande, a large town on the Coastal Highway around 30 minutes northwest of Puerto. 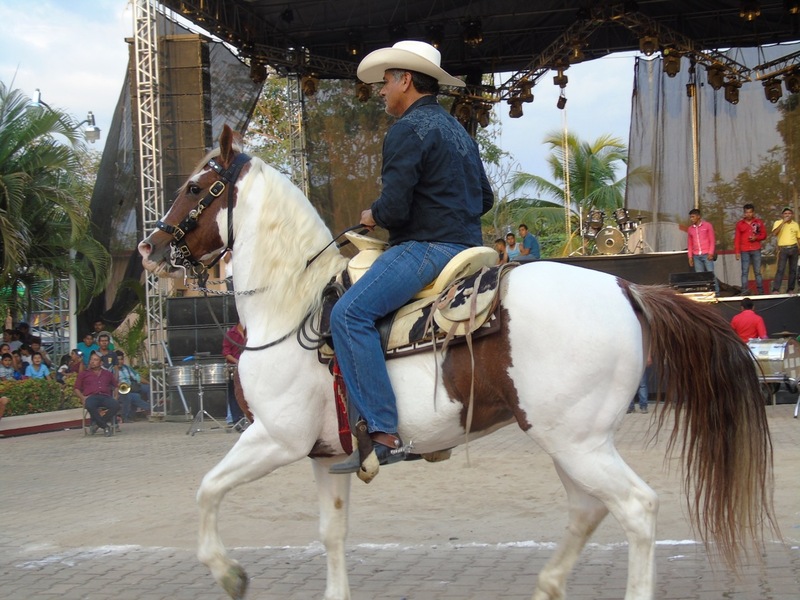 Arrendador (trainer) Heber Feria Apoino grew up with horses on his family’s cattle ranch in Santa María Tonameca. 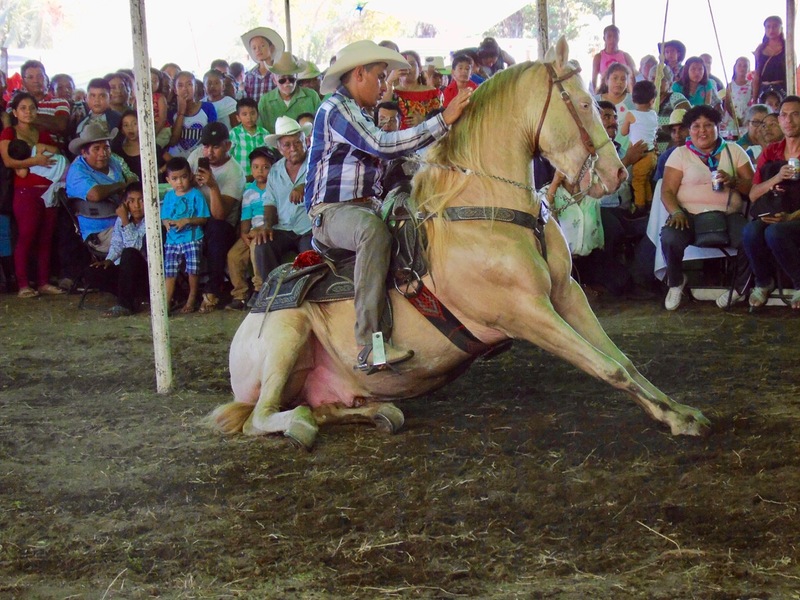 When he was 18, his parents sent him to the Alta Escuela Domecq in Texcoco, Estado de Mexico, where he studied horse training for a year and a half. Now at the age of 26, he is responsible for seven dancing horses in Puerto, plus another 15 in paddocks. The dancing horses are Spanish, Aztec, Costa Rican, Friesian and Portuguese, which come from breeders in Nayarit and Campeche. The horses are not ready to be mounted until they are three years old. 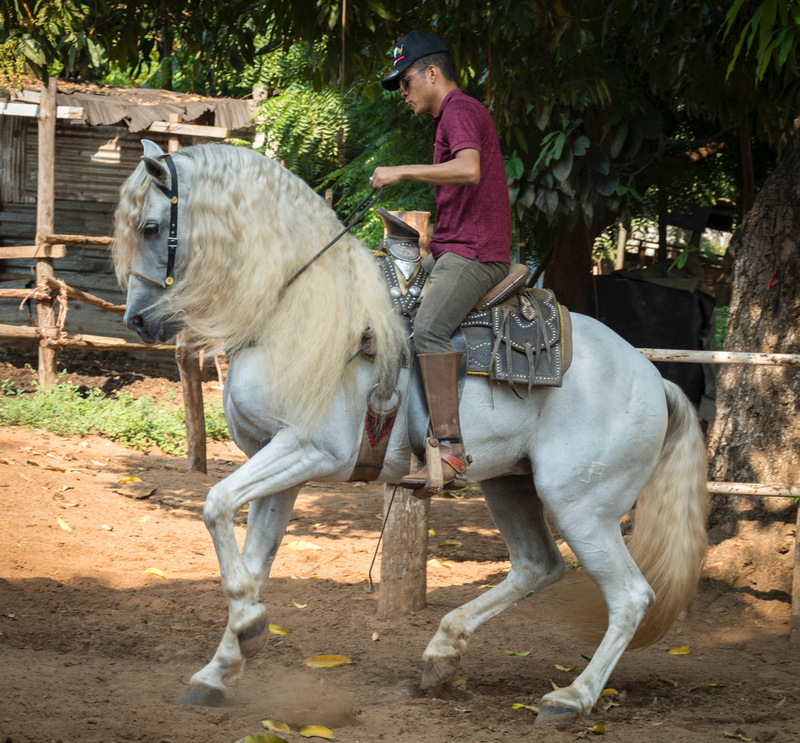 It takes Heber around three months to tame a horse, two months to rein it, and another five months to teach it to dance. For more information you can reach Arrendador Heber at 954 148 8701.